Get an on-trend contemporary look this season with the Oska Arasi jacket. 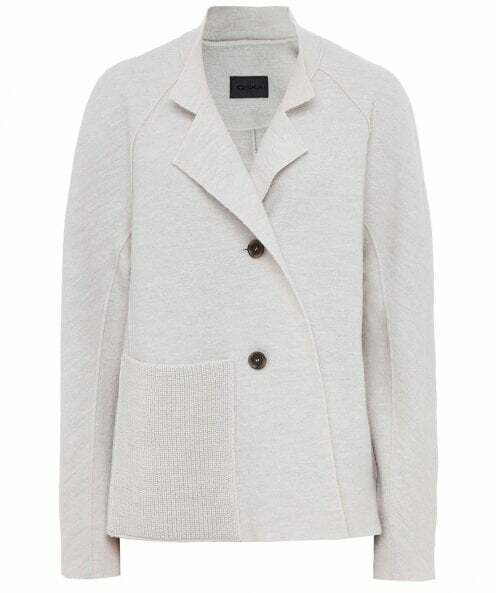 Expertly crafted from pure virgin wool, this casual jacket has a super soft handle to provide maximum comfort and a snug feel. Two tortoiseshell buttons and an oversized pocket feature to the front for a unique look, while a stand collar and seam detailing throughout provide a chic finish.